This service is often used by blind people who unfortunately are suffering the most from all the captchas being use on websites. 1. You have to start FireFox. In the address bar, type about:config and press Enter/Return. The about:config “This might void your warranty!” warning page may appear. Click I'll be careful, I promise!I accept the risk! to continue to the about:config page. 3. install an AddOn from there Website (direct link to addon). You should create an account there as well to redirect the unsolved captchas and other queries to that service as well. 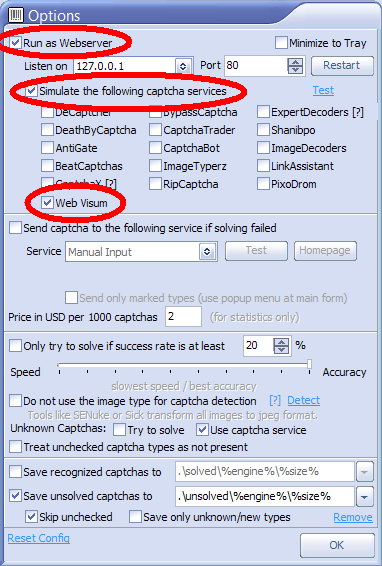 Once enabled and you surf with FireFox, you will be able to see the captchas in Captcha Breaker trying to solve it. In short all you have to do is checking the service to simulate Web Visum.